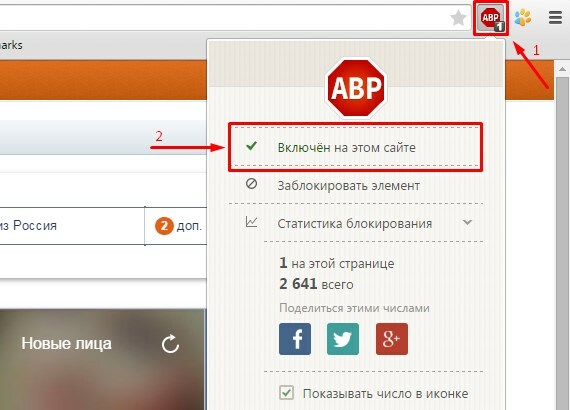 Adblock is a web browser plug-in which can be installed to block advertising and spam windows that appear on various internet sites. 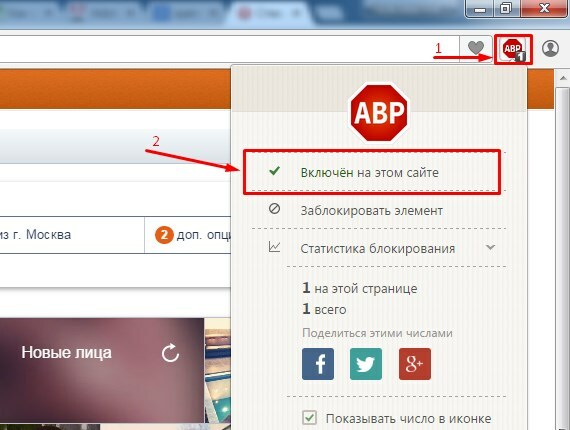 Adblock can have a negative effect on site presentation. To avoid this, add the site to the plug-in exceptions. Find the plug-in icon in the top right corner of the browser window and click on it. 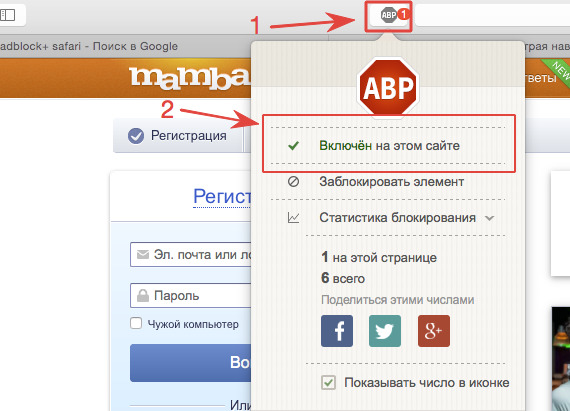 In the pop-up window deactivate the plug-in for this site. 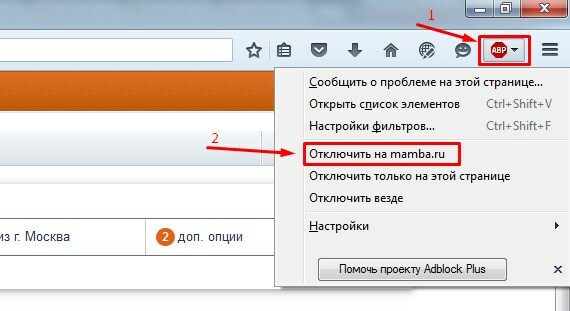 Right click on the upper panel of the browser. Find the plug-in icon at the bottom of the browser window and click on it. Find the plug-in icon at the top of the browser window and click on it.